Whether your business has grown rapidly or steadily, you will inevitably need to update your phone system. 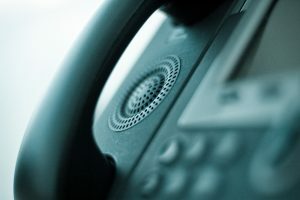 If you fail to ensure that your phone system is up to par with the rest of your business operations, you’ll just end up damaging the productivity around the office and spending more money on expensive equipment for your old phones. Strive to obtain an up-to-date phone system that can grow with you, not hold you back. If most or all of your employees work remotely or are constantly out of the office on business, you definitely need a phone system that will allow you to communicate with them wherever they are. Clearly, an older business phone system won’t allow for this. You need to find a phone system that allows your remote or work-from-home employees to use it efficiently and stay in contact with you and your customers. At SJP Network Solutions, you get updated phone systems and much more to help you enhance the communication experience for you and your employees. If you are paying more in your phone bills than you ever have before, it’s time for a cost analysis. Review your expenses and what is costing you money and you’ll quickly learn what needs to be addressed and replaced. If your phone bills are abnormally high, look at your phone system and determine whether or not it’s time for a new one. Growth is good, and a business that is constantly growing is a business on the right track. To keep up with the growth plan for your business, you need to upgrade your systems. Upgrade your business phone system (VOIP) today and enjoy superior communication. Contact SJP Network Solutions for more information on how to get the perfect fit for your business.